Ngayogyakarta Keraton or Kraton, Yogyakarta is the official palace of the Sultanate Ngayogyakarta are now located in the city of Yogyakarta, Yogyakarta, Indonesia. 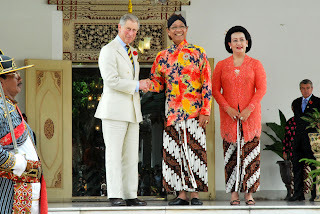 Although the empire has officially become part of the Republic of Indonesia in 1950, this palace complex building still serves as residence and household sultan palace imperial tradition that is still running until today. 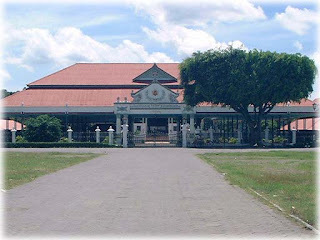 This palace is now also one of the attractions in the city of Yogyakarta. 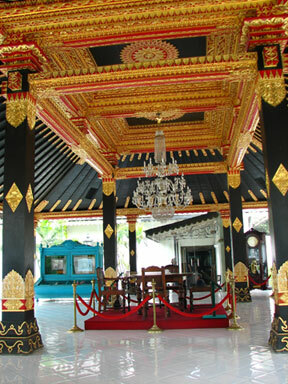 Part of the palace complex is the museum's collection of the empire, including a variety of gifts from the kings of Europe, a replica of the palace treasures, and gamelan. 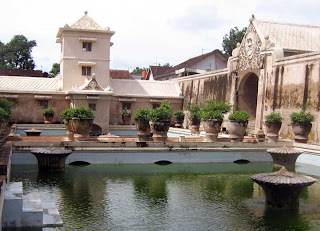 In terms of the building, this palace is one example of Javanese palace architecture of the best, has a luxurious hall-hall and a wide field, and pavilion. 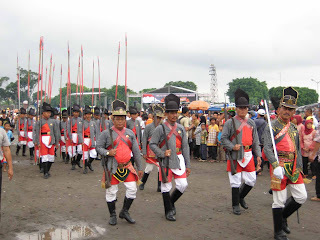 Yogyakarta Palace was started by Sultan lane I post a few months Giyanti Treaty in 1755. The location of this palace is reputedly a former pesanggarahan named Garjitawati. This guesthouse is used to break the funeral procession of the kings of Mataram (Kartasura and Surakarta) to be buried in Imogiri. Another version states the location of the palace is a fountain, Pacethokan Bannerman, who was in the woods Beringan. Prior to occupy the Palace of Yogyakarta, Sultan lane I stayed at the Ambar Pesanggrahan Ketawang which now includes the area of ​​Dalkeith Sleman District . Physically, the palace of the Sultan of Yogyakarta has seven core complex that is Siti Hinggil Ler (North Hall), Kamandhungan Ler (Kamandhungan North), Sri Manganti, Kedhaton, Kamagangan, Kamandhungan Kidul (South Kamandhungan), and Siti Hinggil Kidul (South Hall) . In addition Sultan Palace has a variety of cultural heritage that shaped both the ceremony and ancient artifacts and historic. 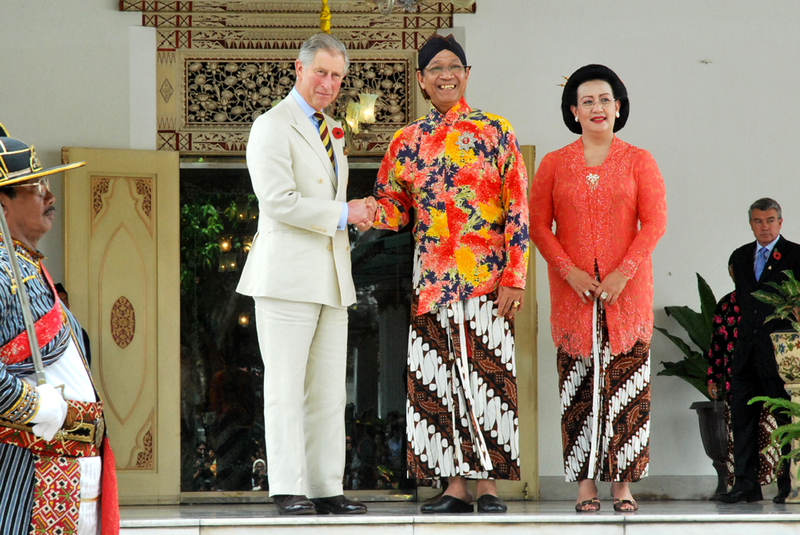 On the other hand, the Sultan Palace is also a traditional institution complete with customary holders. It is therefore not surprising that the values ​​of philosophy as well as the mythology surrounding the Sultan Palace. And that is why in 1995 the palace complex Ngayogyakarta nominated to become one of UNESCO World Heritage Site. 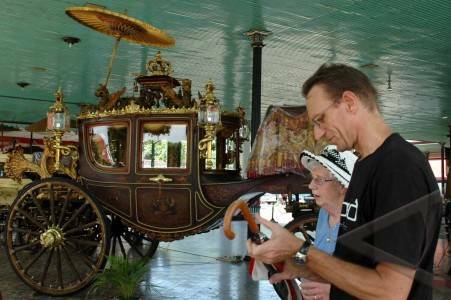 The Tourists can use the services of carriage, which is the traditional means of transportation that rely on horsepower. From Yogyakarta Tugu Station to the Palace only to within 15 minutes at a cost ranging from Rp 10,000 s / d Rp 20,000. Andong addition, other traditional means of transportation is the rickshaws. There are means of transportation along the streets of Yogyakarta, but the rickshaw only fit 2 people. Because of its strategic location the Yogyakarta Palace frequently traveled by urban bus. For the visitors from around the Yogyakarta area, they could use a variety of city bus lines, including the city bus with lines (2,4,12,15,19, etc.). Transport of this one was impressed a bit expensive, but we feel more comfortable, because at this time almost the entire Taxi in Yogyakarta Special Region has been using the output of 2005 cars equipped with Air Conditioning (AC), and some also have equipped with audio modification, so the taxi can be called Transport Full Music. Tourist area is open every Monday - Sunday, from 08.00 s / d 13:30, while on Friday 08:00 s / d 11:30. Yogyakarta Palace admission price for domestic tourists Rp 5000, - while tourists Rp 10.000, - includes Guide.